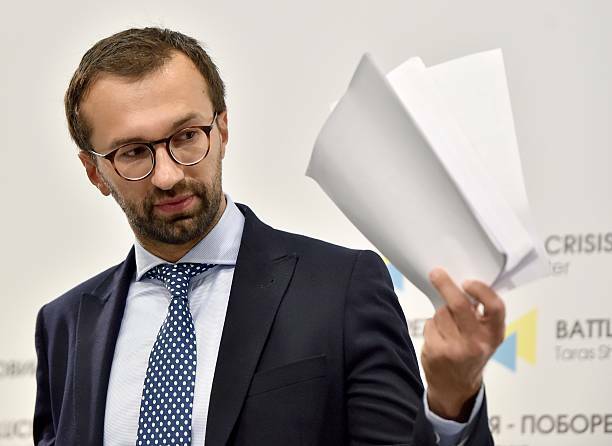 Leshchenko was the leading force behind the release of the so-called “black ledger,” which accused Paul Manafort of receiving illicit payments from the Ukrainian government. The ledger led to Manafort’s firing from the Trump campaign, but its validity remains in dispute. “His source information I am not aware of,” Nellie Ohr testified. “You were just aware that he was a source of –” one lawmaker began to ask. “[Fusion GPS founder] Glenn Simpson? Or was it a source of [Fusion GPS employee Jake Berkowitz] or both?” the lawmaker asked. “I’m not aware of a difference between them, just a source of Fusion GPS,” said Nellie Ohr, a Russia linguist who previously worked for the CIA’s open source research unit, Open Source Works. Nellie Ohr did not describe the Leshchenko-Fusion GPS source relationship in greater detail, so it is not clear whether the Ukrainian lawmaker was paid, how he transmitted information to Fusion or with whom at the firm he maintained contact. Nellie Ohr did not testify whether she handled information from Leshchenko or if she provided it to her husband, who served as associate deputy attorney general and director of the Justice Department’s Organized Crime Drug Enforcement Task Force. Fusion GPS did not reply to a list of detailed questions about Leshchenko. One of the firm’s co-founders, Tom Catan, replied “Strictly FYI” in an email, copying others at Fusion GPS. He did not answer follow-up questions. With $1 million in funding from the Democratic National Committee and Clinton campaign, Fusion GPS hired former British spy Christopher Steele to investigate Trump’s ties to Russia. While that investigation was unfolding, Fusion GPS dug up dirt on Trump, members of his campaign and his family. As TheDCNF has reported, Nellie Ohr also testified to Congress that Fusion GPS directed her to research the travels and business activities of Trump’s children. Nellie Ohr and other contractors, including an attorney named Edward Baumgartner, also focused heavily on Paul Manafort, who served as Trump campaign chairman from April 2016 to August 2016. In addition to gathering research and intelligence on Trumpworld figures, Fusion GPS also disseminated its findings to the press. Simpson briefed and met with reporters to pass along information from the Trump investigation. Nellie Ohr testified that Leshchenko also provided Fusion GPS with information on Manafort. Ironically, given Fusion GPS’s investigation of Russian meddling in the election, Leshchenko himself was found to have illegally interfered in the 2016 election. Leshchenko responded by accusing Ukrainian President Petro Poroshenko of stifling the investigation into Manafort in order to curry favor with the Trump administration. Leshchenko’s ledger itself has also come under scrutiny and has yet to be verified as accurate. The head of Ukraine’s Specialized Anti-Corruption Prosecutor’s Office, Nazar Kholodnytskyi, said on June 27, 2017 that investigators had no proof Manafort received the illicit payments listed on the ledger. 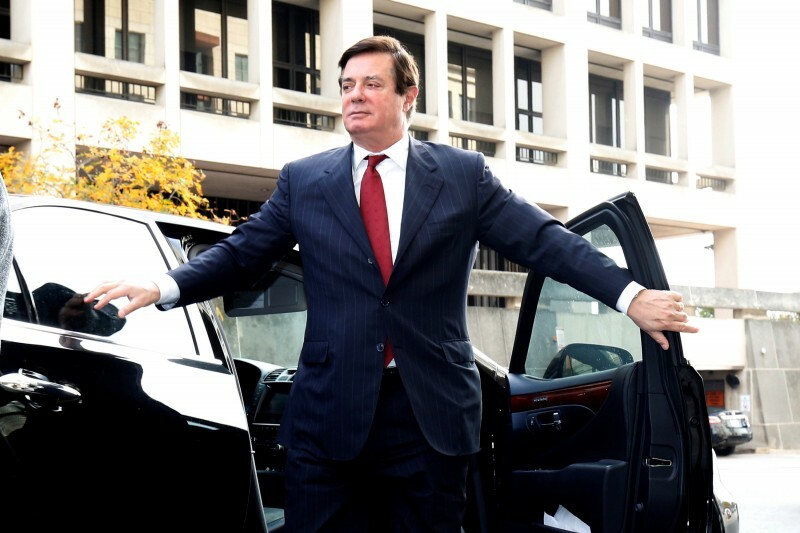 Manafort has been convicted in the special counsel’s probe of tax evasion, bank fraud and other crimes related to his work for Yanukovych. However, he has maintained that Leshchenko’s ledger is a fabrication. The former Trump campaign chief has claimed that he did not receive cash payments for his Ukraine work and was instead paid via wire transfers, which are traceable. Manafort has been accused of illegally using offshore bank accounts to hide payments he received for his Ukraine work and of failing to register as a foreign agent for Yanukovych. Leshchenko’s aggressive tactics have landed him under scrutiny, as well. Leshchenko appears to have tried to blackmail Manafort by contacting his daughter with information about Manafort’s Ukraine dealings, Politico reported on Feb. 23, 2017. “Considering all the facts and evidence that are in my possession, and before possible decision whether to pass this to [the National Anti-Corruption Bureau of Ukraine] or FBI I would like to get your opinion on this and maybe your way to work things out that will persuade me to do otherwise,” reads one message sent to Manafort from an email address linked to Leshchenko. Leshchenko has vehemently denied contacting Manafort’s family or of threatening extortion. He did not respond to emails seeking comment for this article. A spokesman for Manafort declined comment. The Ohrs did meet on July 30, 2016 with Steele. During that meeting, Steele briefed the Ohrs on some of his findings during the Trump investigation. Days later, Bruce Ohr debriefed then-FBI Deputy Director Andrew McCabe on his meeting with Steele, who is based in London. Bruce Ohr would later serve as an unofficial back channel between Steele and the FBI. Steele had been in contact with the FBI before the election, but the bureau ended that relationship on Nov. 1, 2016 after learning that Steele had been in contact with journalists. After Trump’s election victory, Bruce Ohr was asked to communicate with Steele and report back any developments on the Trump-Russia front. The Ohrs have been a focus of congressional Republicans who believe that the FBI and Justice Department relied improperly on the Steele dossier to obtain surveillance warrants against Trump campaign adviser Carter Page. Republicans have speculated that Fusion GPS hired Nellie Ohr in order to make it easier to get anti-Trump research to law enforcement officials. Fusion disseminated its Trump materials — including the Steele dossier and its research on Manafort — through numerous governmental and non-governmental channels. Steele shared parts of his dossier with Bruce Ohr, the State Department and the FBI. He and Simpson also met with numerous Beltway journalists during the campaign.